Hello Linda. 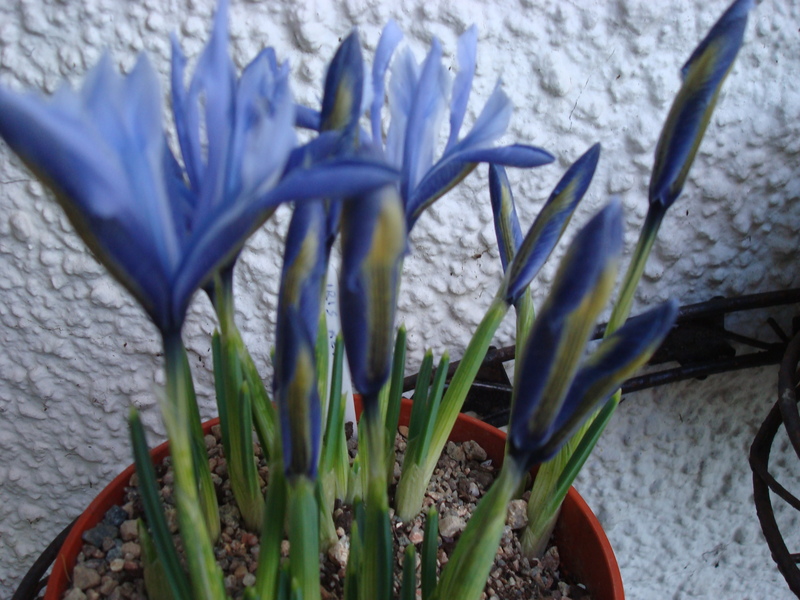 We are all onging for spring no doubt1 Nice to hear from you..
Nice to hear from you too Marion! 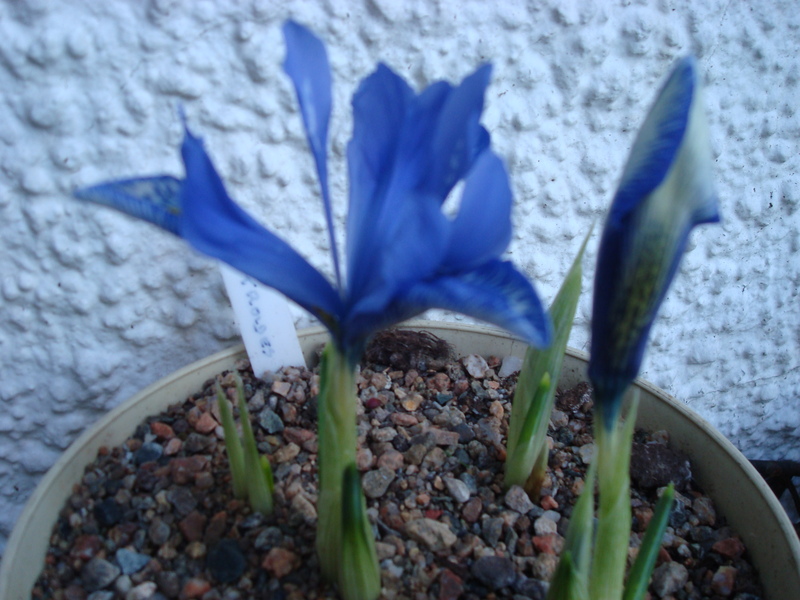 Getting my seeds ready...been out to the greenhouse today but it is flippin' cold! Good morning Marion. 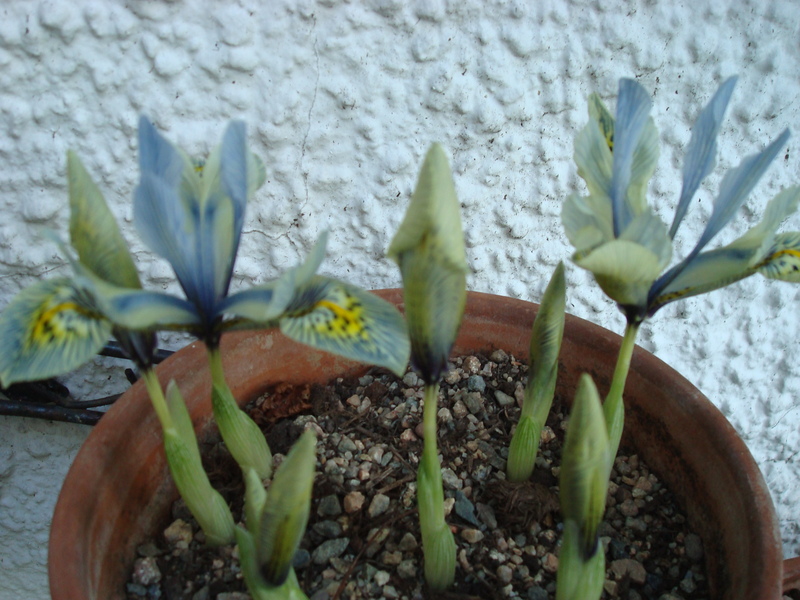 A lovely sunny day here and the pots of iris at the back door are starting to flower. 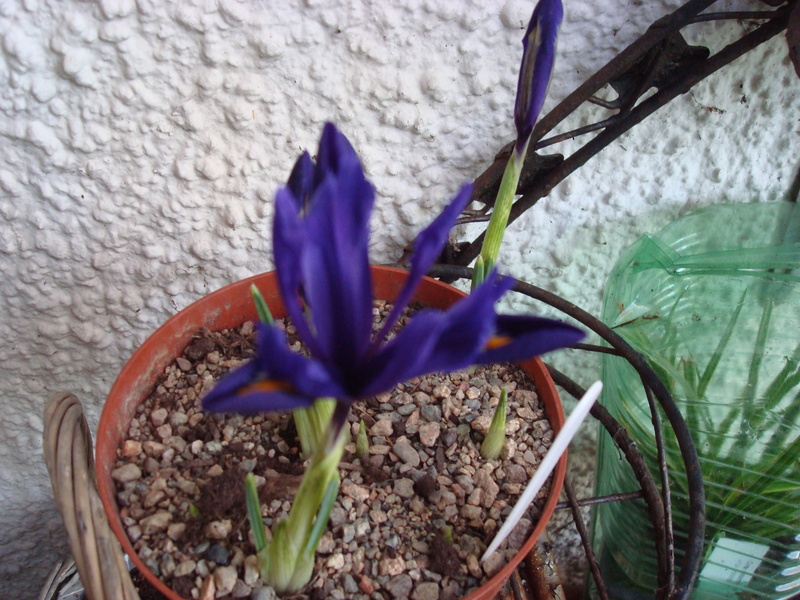 Hi all, lovely sunny day in the NW too, Joyce your iris looks lovely and colourful . My Eagle sweet peas have Arrived in the post so I m looking forward to sowing them this weeken and cutting my tree back in the front garden which is getting a bit big. Have a lovely afternoon everyone! My daughter has just sent me an unbirthday present of two lovely warm pairs of gardening trousers so no excuses now. Glorious sunshine in Bristol. Hi Marion, it's cold but dry in the NW and still light at the moment. what have you been upto Marion? Have you modelled your new trousers? Wearing a pair now flumpy! Very cold here in Bristol today but might have a sfaari brisk walk round the garden later. Will put the camera on to charge to take with me. looking forward to your pictures Marion ?, very cold up here to and snow forecast for tomorrow, not looking forward to that! Weather is very cold here but no snow so far, just kept getting woken up by hale and rain but now it's dry. What are you upto today Marion?. Ho! Nearly forgot to say my first sweet pea as germinated !